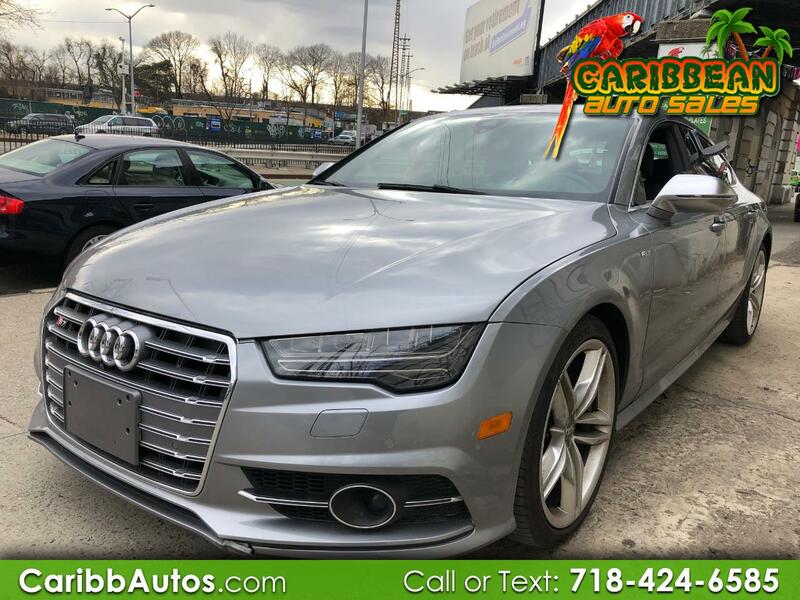 Used 2016 Audi S7 4dr HB for Sale in Elmhurst NY 11373 Caribbean Auto Sales Inc. Welcome to Caribbean Auto where our financial experts can put you in the car of your dreams regardless of your credit history!!! We work with over 30 different lenders and offer financing to customers who have bad or no credit. Our large selection of quality pre-owned vehicles are in pristine condition and very affordably priced. For pre-qualification please feel free to fill out a secure credit application online at WWW.CARIBBAUTOS.COM . More photos and video are also available on our website. Cash customers are welcome!!!! Our entire inventory has passed a rigorous 160 point inspection, and passed NY State safety and emission pre inspection. We offer full service warranties, shipping vehicles to any state or country. Call Joe, Earl or Ozzy Today at 718-424-6584 to 85 to schedule a test drive! We specialize in making your auto buying experience as quick and convenient as possible!! Message: Thought you might be interested in this 2016 Audi S7. Internet Price are subject to change at any time. Please consult with the Dealership to confirm if promotional pricing is still available.